I love corn and if I can find an excuse to make it, I gladly do. I keep frozen corn, on hand, all the time, so I can throw together some delicious dish. In the summer, when we can get fresh corn, I refuse to do anything with it than boil it for a few minutes and eat it with all its sweetness. There is nothing like freshly picked corn. For the rest of the year, fortunately, there are many enjoyable dishes to make, blending the corn into some concoction or another. This dish was a great success. Everything blended together beautifully. 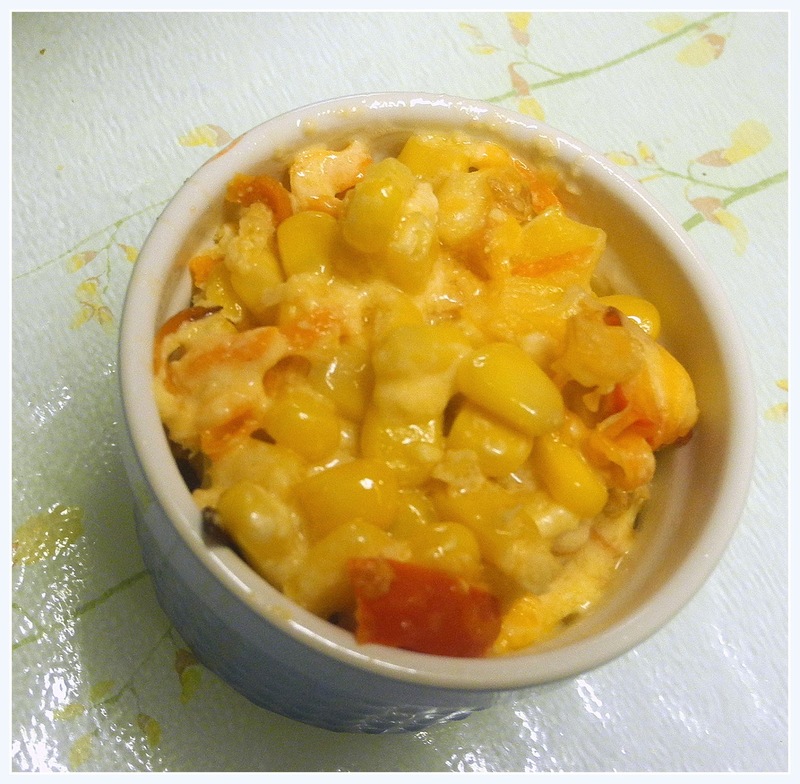 I had stumbled on this Corn Bake at Pillsbury. Heat oven to 350°F. Spray 13x9-inch (3-quart) glass baking dish with cooking spray. Cook corn as directed on bag. In 12-inch skillet, heat olive oil over medium-high heat. Stir in bell pepper and onion; cook 3 to 5 minutes, stirring frequently, until crisp-tender. Stir in corn. Remove from heat. In large bowl, beat eggs, sour cream, cornmeal, sugar and salt with wire whisk until well blended. Stir in corn mixture and cheese blend. Pour into baking dish. Bake 20 - 30 minutes until a sharp knife inserted, comes out clean.